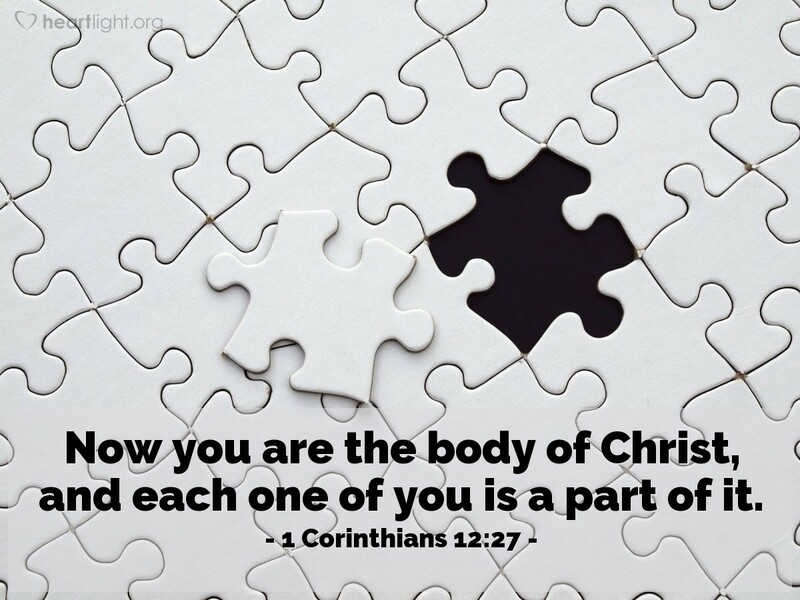 What part of the Body are you? What's your function, your purpose? How are you blessing others in the Body of Christ? Who is someone in the Body who does a great deal of service to others who needs your encouragement and praise? Who is someone who feels neglected and lonely who needs your love to be shown to him or her? Father, thank you for making me a part of something so precious, so awesome, as the bodily presence of the Lord. Please help each person in our church family to find his or her gifts of service and to use those gifts in ways that touch others with your grace and that bring you glory. In Jesus' name. Amen.